Got an itch? Don't scratch it! Use plain old vinegar to treat your dry, itchy skin. 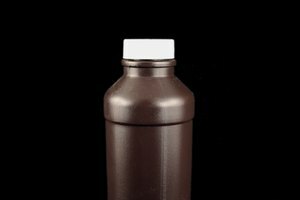 Vinegar can be used to treat sunburns, hives, bug bites, rashes and itchy skin due to weather or seasonal conditions. Vinegar is a natural germ fighter and helps to restore your skin's healthy acidic levels. Everyone suffers from dry, itchy skin from time to time. This common condition can be especially troublesome for people in dry climates and during the winter months. Sunburns, a change in diet, and medications can also cause itchy skin. Minor irritations like hives, bug bites, rashes, and eczema, too, can be particularly troublesome. Care for your dry, itchy skin naturally with something you may already have in your pantry: vinegar. Vinegar has been used for thousands of years as a natural health remedy. When ingested, vinegar is said to help improve digestion, relieve allergies and soothe sore throats. But vinegar also has many topical benefits, like caring for itchy, dry skin. Vinegar is a natural antiseptic and antifungal, so it helps reduce and destroy harmful irritants and germs. Apple cider vinegar in particular can be beneficial because it contains healthful enzymes. Vinegar is acetic so it may also help restore skin's natural acidity, which can be stripped away by harsh cleansers and lotions. Restoring your skin's natural balance may improve dryness, itching, flaking and acne. If you have a small patch of dry, itchy skin, dot vinegar on the spot with a cotton ball. If the itching is severe, make a paste of equal parts vinegar and corn starch and leave the paste on your skin until the itching stops. For larger affected areas, smooth or pat vinegar over the skin gently as needed. If you're experiencing all-over itching and dryness, add two or three cups of vinegar to your bath water and soak for 15 to 30 minutes. Athlete's foot can cause severe itching. Soak your feet in one quart of vinegar for 30 minutes. Dilute the vinegar with water if you prefer. Soothe rectal itching by moistening gauze with vinegar and gently applying to the affected area. Care for an itchy scalp or dandruff with a vinegar rinse. Simply apply vinegar to your hair after shampooing but before conditioning. Your hair will be shiny, too. For those who suffer from acne breakouts, sweet a cotton ball soaked in vinegar over problem areas. Vinegar also helps to absorb excess oil. Be careful when using vinegar around the delicate skin and membranes of the eyes, and use a diluted mixture in these areas. To relieve a sunburn, add vinegar to a clean spray bottle and spray the affected areas. Let dry and reapply as needed. The spray bottle reduces irritating contact with sunburned skin. 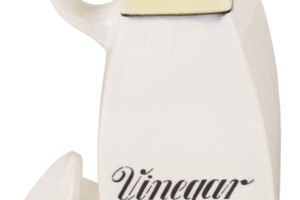 Dab vinegar on bug bites for quick and easy relief.